In a news release published on August 17, 2010, Human Rights Watch took the Nigeria Police Force and government officials to task for institutionalized corruption, including extortion, embezzlement and bribery in the police force. 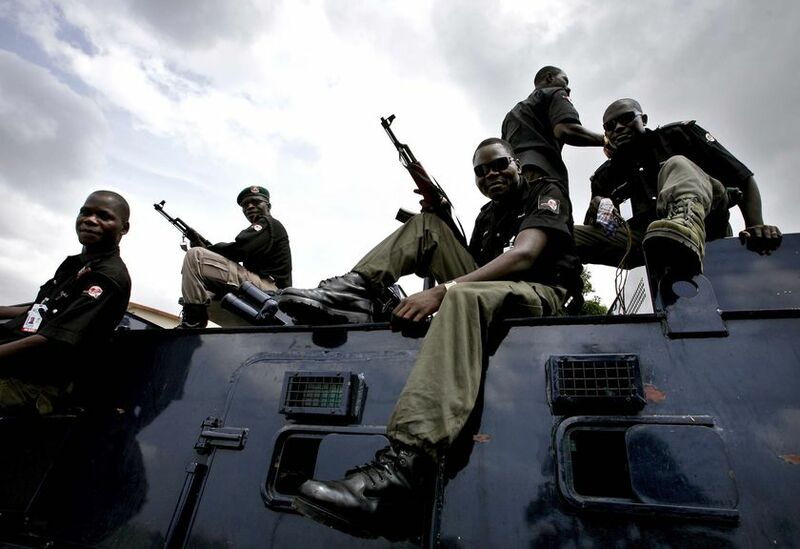 The rights group expressed concern that endemic corruption in the Nigeria Police Force fuels human rights abuses in the West African country. Following a research based on interviews with more than 145 victims and witnesses of corruption in the Nigeria Police Force, Human Rights Watch noted with dismay that armed police officers commonly extort money, on a daily basis, from drivers and civilians at police roadblocks all across Nigeria. Unsuspecting people who resist extortion risk arbitrary arrest and unlawful detention. In some cases, people who refuse to pay bribes are subjected to assault and police brutality. Worst of all - some civilians who refuse to pay bribes have been shot to death. More importantly, this detailed report on police corruption and human rights abuses in Nigeria makes recommendations on how police corruption - a deeply embedded problem in Nigeria could be rooted out. It is true that police corruption is endemic in Nigeria and fuels human rights abuses, and it is also true that police corruption is not limited to Nigeria. The practice prevails in different forms in various parts of the world. Irrespective of where police corruption prevails, one thing is clear - it fuels limitations on basic human rights, and undermines the Rule of Law. 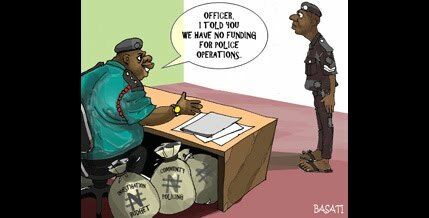 While reading the news release about corruption fueling police abuses in Nigeria, I came across cartoons that capture police corruption in Africa's most populous nation. Make sure you check out the cartoons. I also found it embarrassing to note that Nigerian police officers often allegedly ask ordinary citizens a shameful question: "anything for the boys?" *Photo of Nigerian Policemen: NaijaFeed. This is pitiful and alarming. The corruption is so endemic that it almost feels like there is no way out of this. Oh Africa! We need a way forward...somehow. Who will get us out of this hell hole?? ?